I just tried to speed up the pace of this movie and make it more fun and enjoyable without yawning. I was kinda like "Eh?" when I saw the theatrical version, not really blown away like I should have been. So making the movie more fast paced with more of the action is what I was aiming for. A friend of mine told me I should make a fanedit of this movie, so I gladly accepted and proceeded with the process. I actually never had any intent of making a fanedit of this movie but I said, what the heck! 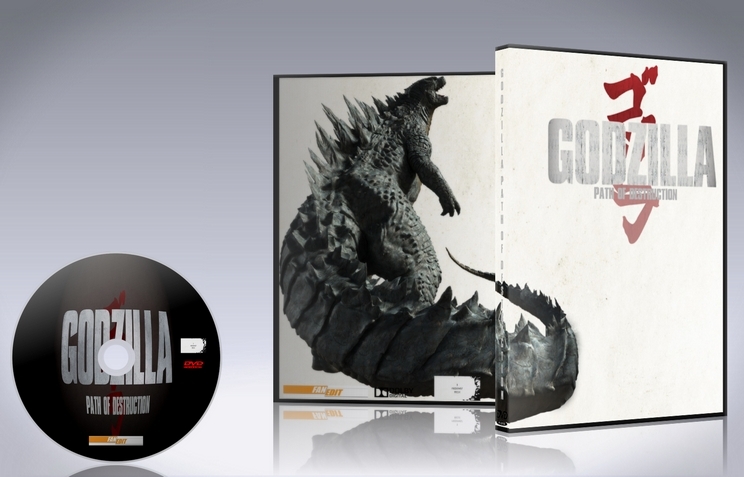 Used Vegas Pro 12 for the editing process and Godzilla Bluray for the source. - Removed "Philippines 1999" (cause after 15 years the two scientist look exactly the same and appear to wear the same clothes. 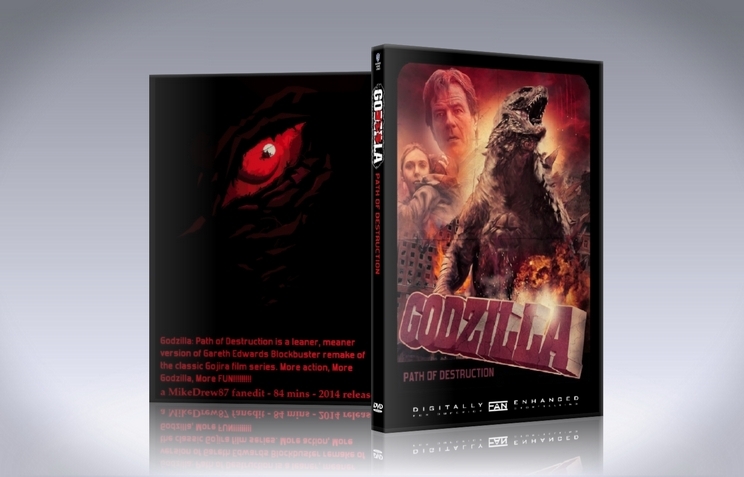 - New Title Credits "Godzilla Path of Destruction"
- Now he just says "I need to get on that train"
thanks for creating this- I was so disappointed with the original- not much you can do, but you made the most of it. i was relieved by the faster pace, but would have scrapped even more of the first "pre-Godzilla" filler. however, one downside of the faster pace is that if you have not seen the original, some of the motives and scenes can be a bit confusing. but, I'd take that over the unnecessary and horribly executed human drama that the original attempted. another downside was that at times the picture was so dark that it was hard to distinguish what was going on- particularly in the Godzilla fight scenes. but, worth the watch. This edit is, in my opinion, the perfect version of this movie. All of the fat is excised and it is paced much better. I have no complaints about anything technical or narrative. This is a fantastic job making a decent, bloated movie into a great film. 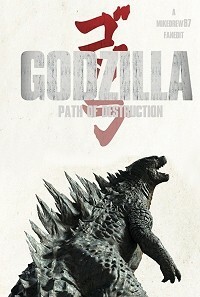 Mikedrew87 presents a new of Godzilla here-- both of us have a similar take on the material which seems to go against popular consensus apparently: the theatrical version was Bad. It was a bad movie and I'm not going to watch it again. Period. It is why we worked on our respective versions of this movie and came up with better alternative takes, and for my money Mike's version is superb! The audio/visual craftsmanship is impeccable--no noticeable flaws or hiccups at all. Narrative wise, it is of course an improvement over the poorly paced and misguided original. By excising the redundant and poorly executed "human" melodrama, Mike creates a far better and purely distilled monster movie. In this version we focus on the creatures wreaking havoc across the land and Brody's attempts to stop them. The best part about the edit is that Brody's family is completely cut away, and the ambiguous ending is inspired. What human moments remain do not detract from the monster action. All in all, a perfect edit of this film is not possible due to the lack of filmed material, and it will always be a bad movie, but Mike's take on the original is as good as it can get for people looking for an entertaining monster movie. Great work! Thanks for taking the time to watch and write a review for this edit. I'm pleased that you enjoyed this flick. I think you're right about making a 2-disc dvd set on this. Again thanks for the review.